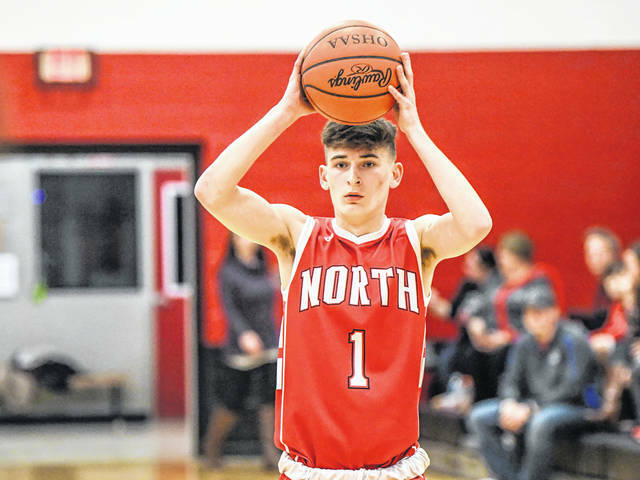 Tri-County North senior Brian Stinson scored 21 points to lead the Panthers to a 62-48 come-from-behind win over Preble Shawnee on Saturday, Feb. 2. 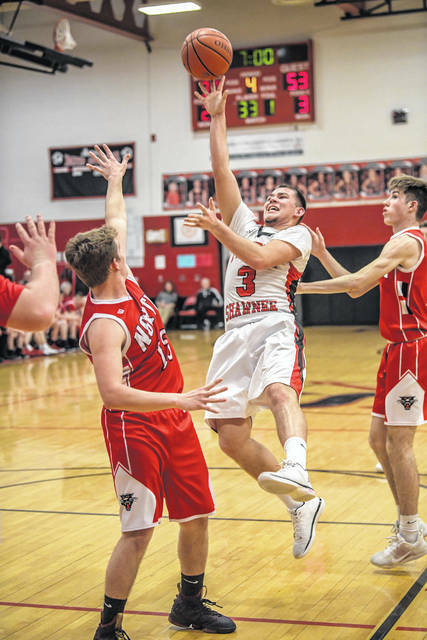 CAMDEN —Tri-County North senior Brian Stinson played a key role for the Panthers in a non-league basketball game against host Preble Shawnee on Saturday, Feb. 1. Stinson scored a game-high 21 points, including 14 in the second half, to propel the Panthers to a 62-48 come-from-behind win. 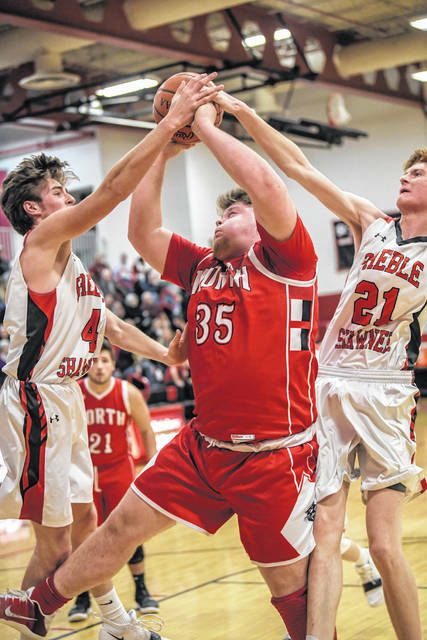 The win avenged a loss to the Arrows in the consolation game of the Preble Shawnee Holiday Tournament back in December. Stinson got a key 16-0 run started for the Panthers midway through the third quarter. With the game tied at 37-37, Stinson drained his second 3-pointer of the third quarter to give his team a 40-37 lead with 3:40 to play. The Panthers closed out the quarter on a 12-0 run to take a 49-37 lead. The run continued into the early part of the fourth quarter as North built its lead to 53-37 with 7:17 left in the game. The Arrows never got closer than 10 the rest of the way. Shawnee led 12-11 after one and 28-26 at the half. Stinson finished with five assists. Dylan Stinson added eight points and grabbed nine rebounds. Josh Heindl tossed in 13 and Preston Lairson added 10 points. Preston Jackson contributed seven points and six rebounds. 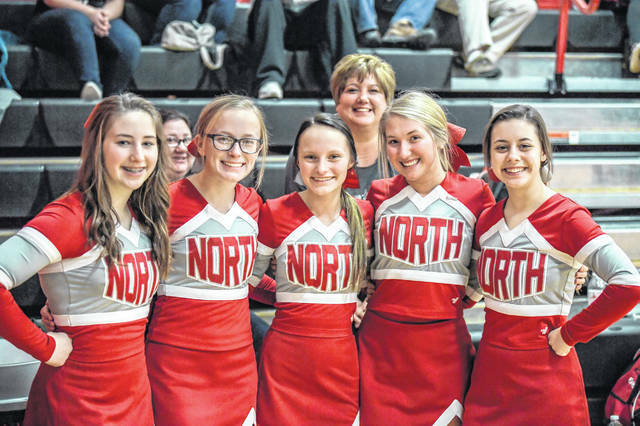 As a team, North knocked down 10 three-pointers. For Shawnee, Bryce Singleton scored 16 points and had five rebounds. Jake Green scored seven coming off the bench. Luke Woodard had six and Sam Agee and Calvin Leeth each scored five. Leeth also had four rebounds. 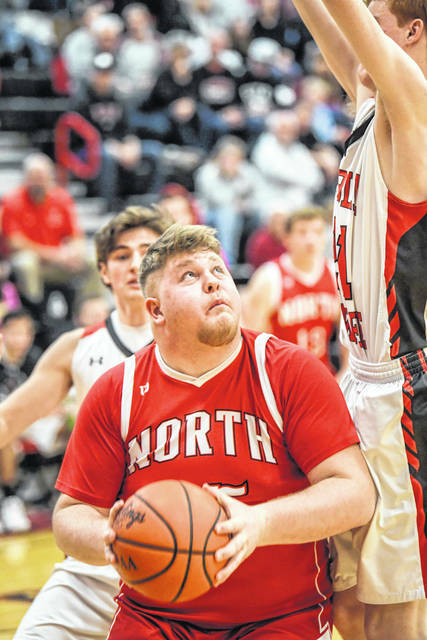 North (6-10) was scheduled to play Mississinawa Valley on Tuesday, Feb. 5. The Panthers will host Franklin-Monroe on Friday and will close out the week with a home game against Dixie on Saturday, Feb. 9. Shawnee (8-8) was scheduled to play Middletown Madison on Tuesday. They will travel to Monroe on Friday and play at Arcanum on Saturday. 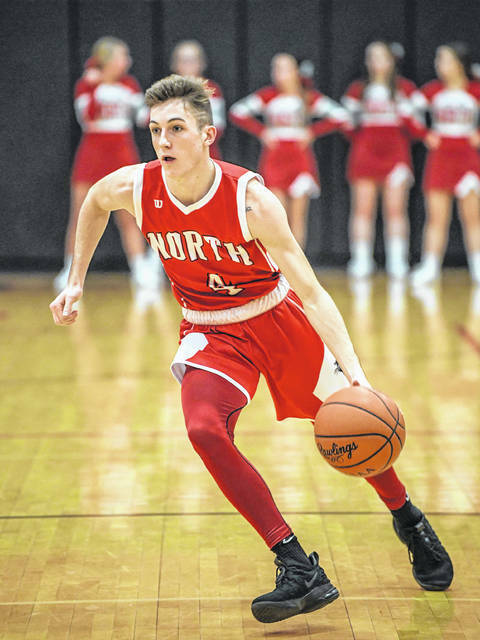 https://www.registerherald.com/wp-content/uploads/sites/41/2019/02/web1_PSvsTCN_feb231.jpgTri-County North senior Brian Stinson scored 21 points to lead the Panthers to a 62-48 come-from-behind win over Preble Shawnee on Saturday, Feb. 2.